Our dumpling-style pastas are perfectly paired with thick, chunky sauces. 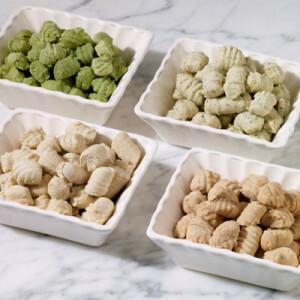 Gnocchi is made with potato flour and cavatelli is crafted with our stone ground whole wheat. Try these plump pastas with a bright vegetable primavera or a hearty Bolognese and get a taste of traditional European fare. Our all-natural handmade potato gnocchi is light, fluffy, and dairy free. We’ve even added a hint of bold chives. Top these tender dumplings with thick sauces for a hearty meal anytime. Our all-natural handmade potato gnocchi is light, fluffy, and dairy free. Top these tender dumplings with thick sauces for a hearty meal anytime. Our all-natural handmade potato gnocchi is light, fluffy, and dairy free. We’ve added in a touch of earthiness and color with fresh spinach. Top these tender dumplings with thick sauces for a hearty meal anytime. Our all-natural handmade potato gnocchi is light, fluffy, and dairy free. We’ve sweetened the deal with caramel yams. Top these tender dumplings with thick sauces for a hearty meal anytime. Our all-natural handmade potato gnocchi is light, fluffy, and dairy free. We’ve even added a decadent dose of truffles. Top these tender dumplings with thick sauces for a hearty meal anytime. 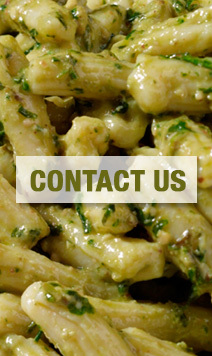 Our cavatelli is waiting to be topped by any of your favorite sauces. Our versatile pasta is all-natural and handcrafted with extra fancy durum wheat, whole milk and Ricotta Impastata.